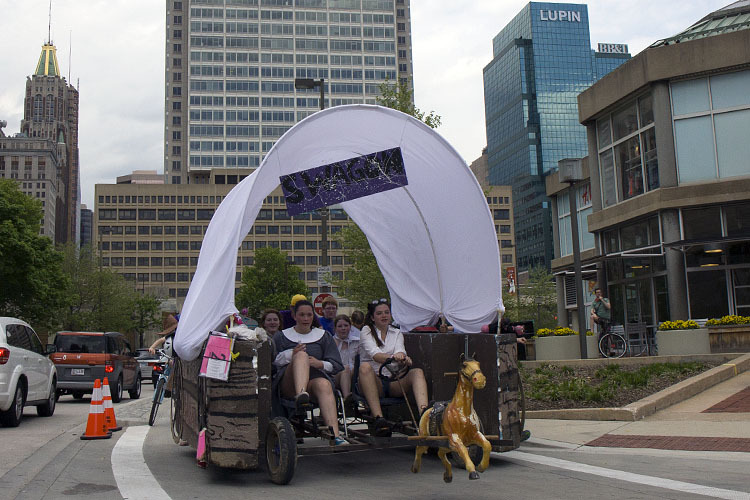 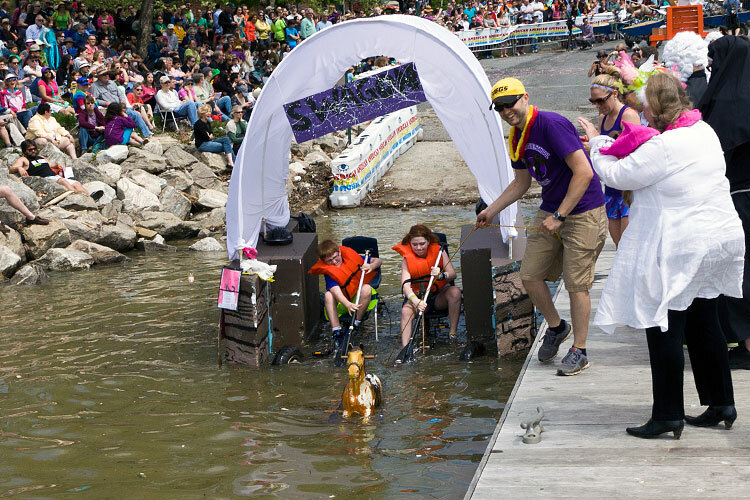 From Arbutus Middle School, the AMS Swagon has a custom chassis with large vertical pontoons, a conestoga wagon with one small horsepower. 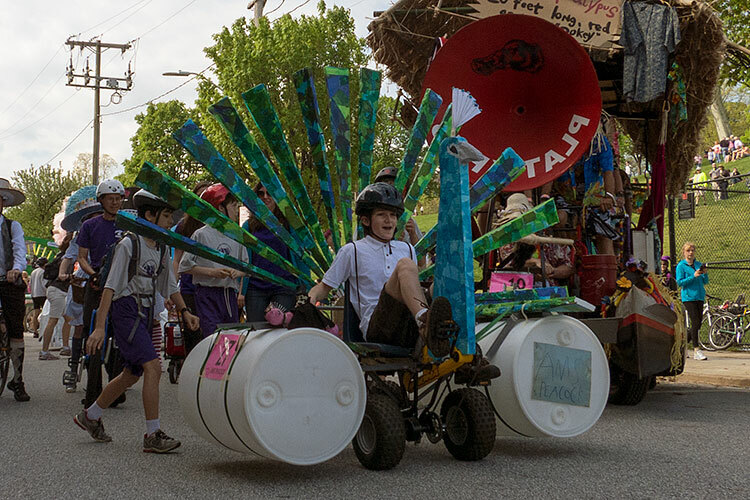 The AMS Peacock is a smaller model, also with custom chassis, and an enthusiastic pilot. 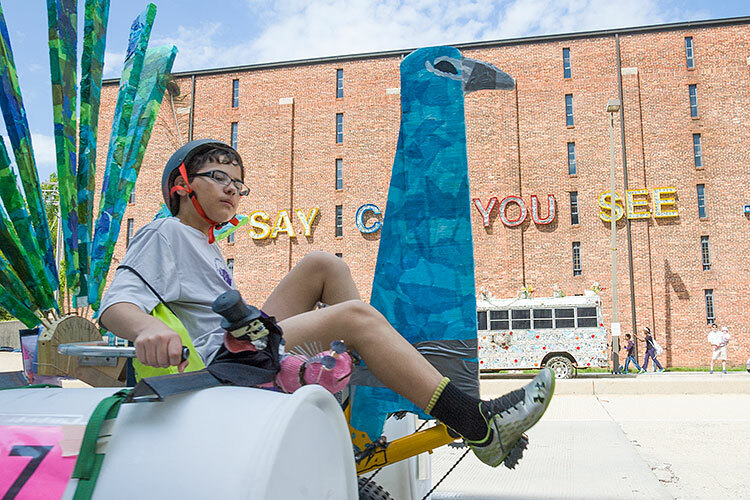 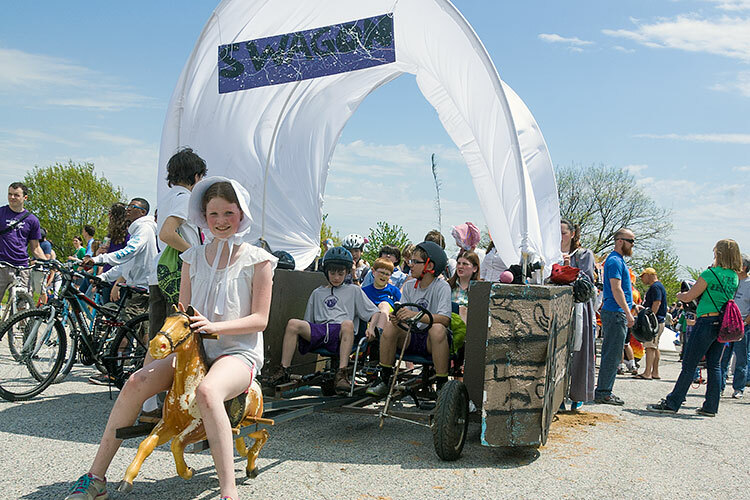 American Visionary Art Museum founder Rebecca Hoffberger applauds the Swagon as they prepare to make way.